WE can collect data from other websites by posting like a browser by using php curl functions. This is not only to collect data but we can also submit form data by POST or GET method. 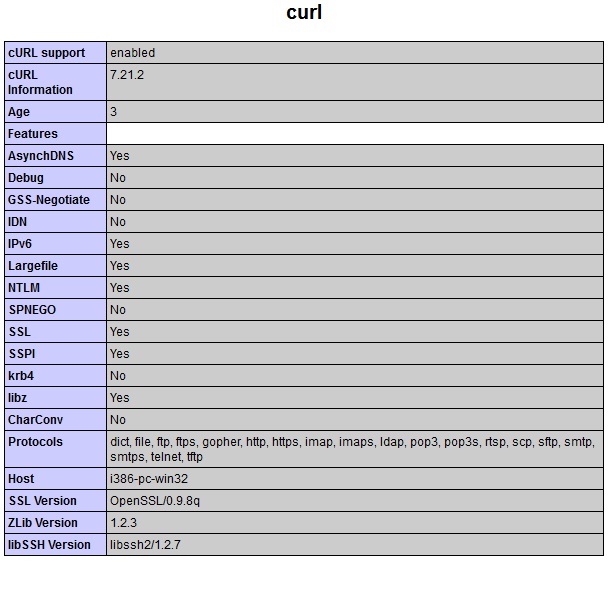 Curl function supports many other protocols. Initially we will start with mostly used HTTP and Post protocols for our scripts and then we will work on others. We have to first ensure that curl support is available in our server, for this PHP installation is to be checked. The best way is to check is our php info function. Here is a screen shot of php info.